Tonight was movie night at Yarek’s with the boys, which I’m hoping will be a regular occurrence as it’s was really fun. We got Dominos and watched “There Will Be Blood” which shamefully was the first time I’ve seen it. It was a heavy film for a Tuesday night, but I really enjoyed it over all. I definitely want to watch it again, so I can fully take it all in whilst I’m not grumbling from eating too much pizza. 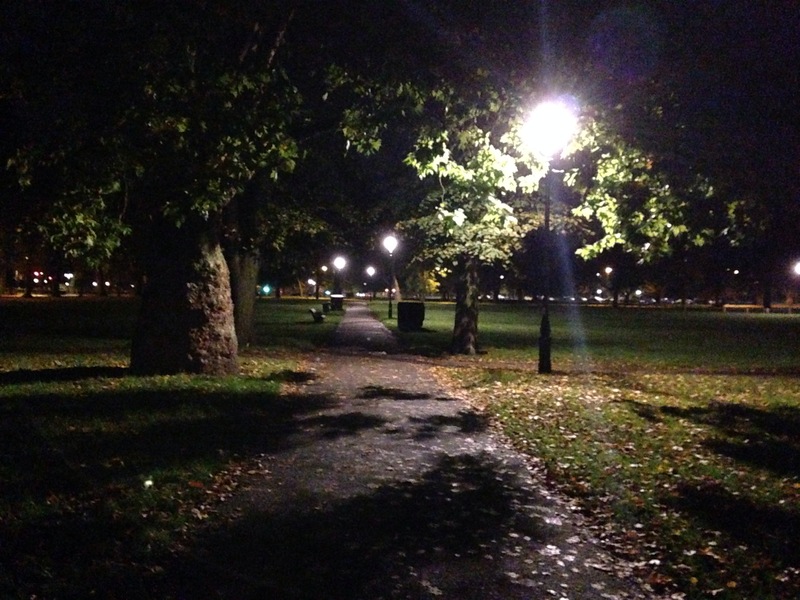 I forgot to take any photos at his house as I’m awful, but took this on the walk home – Clapham Common is creepy as hell walking through at night, as shown by this eery poor quality photo. 13/11/2013 – Cambridge to see Callum!